Install an SFTP client on your personal laptop. Use the SFTP client that is best for your laptop's operating system. The most common transaction that a web designer will have with a web server is the uploading of HTML documents, graphics, and other media files. Files are transferred between computers over a network via a method called SFTP (Secure File Transfer Protocol) . If you are using Windows, use UNC Shareware to obtain SSH/SFTP Secure Shell Client. 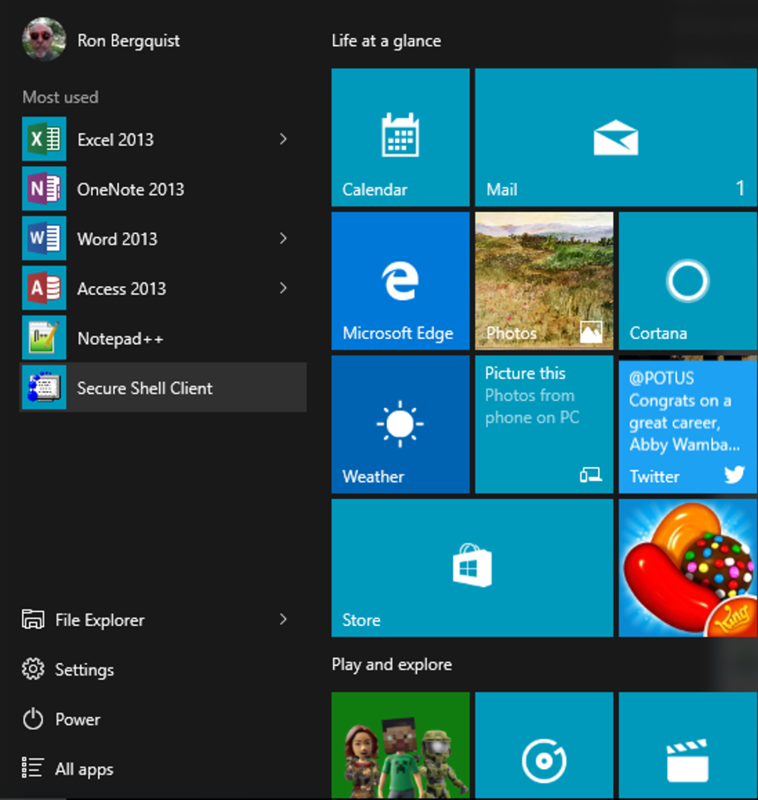 After you have downloaded and installed it, take a screenshot of your programs files to show me that you have it. Remember that you can take a screenshot by holding Command+Shift+4 and dragging your cursor over the area you wish to select. But hold on to the image. You will use your SFTP tool to store the image in the directory you will create in Task 01.05. This will require you to paste the screenshot into some application that you can manage it. This example is an image of an example Mac OS X applications window. If you wish to use Fetch, download it through UNC Shareware. If you don't like Fetch, feel free to download whatever Mac SFTP client you prefer. FileZilla is compatible with Windows, Mac, and Linux operating systems. If you use Firefox as an Internet browser, you might want to check out FireFTP to use SFTP/ SFTP transfers from within your browser window. 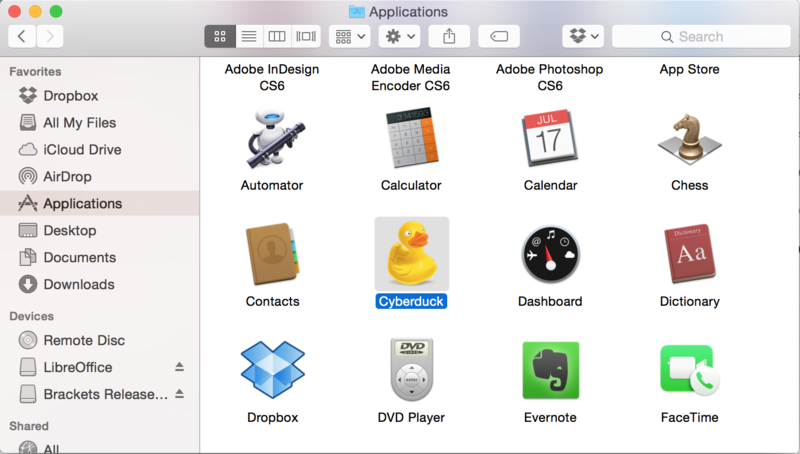 Cyberduck is particularly user-friendly, although there are many other (free) Mac-specific SFTP tools out there. If you are using Linux, use any free client that you prefer. After you have downloaded and installed it, take a screenshot of your programs files to show me that you have it. But hold on to the image. You will use the SFTP tool to store the image in the directory you will create in Task 01.05. This will require you to paste the screenshot into some application that you can manage it. This example is an image of my laptop, trimmed a bit to fit.